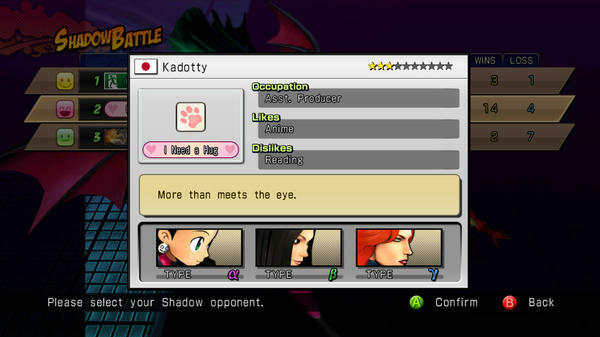 Download the “Shadow Mode” DLC and you’ll be able to fight AI versions of members of the Marvel vs. Capcom 3 staff. Capcom has actually selected teams of characters, preferences and scripted battle tactics based on human traits in order to deliver this one-off sense of direct competition. The only thing that’s missing, we assume, is the rampant trash talking that typically comes with one-on-one fights like these. The first pack will include the team and AI Personality of the game’s producer, Ryota Niitsuma, in addition to the Shadow Mode teams for Assistant Producer Akihito Kadowaki and a QA team leader. More packs will be coming soon, and may feature some personalities you already know. One can only assume that the hint at the end of Capcom-Unity’s blog post is directed towards major Marvel vs. Capcom champions. You know, the kind that roll from city to city in order to drain you of your quarters and your sanity. Or the kind that cause massive traffic jams in the gaming sections of nerd conventions around the world. This DLC concept is a fresh, unique take on developer interaction. Other companies have tried to arrange late-night meetups for fans around the world, but there’s always the fact that timing isn’t friendly for everyone that wants to get involved. This AI idea is a good one; however, it’s not entirely unique to Capcom. Dead or Alive Dimensions, the upcoming fighter for the 3DS, will make player profiles of its users and send those out to nearby opponents using Nintendo’s Street Pass feature. There is no word on the cost of this DLC. 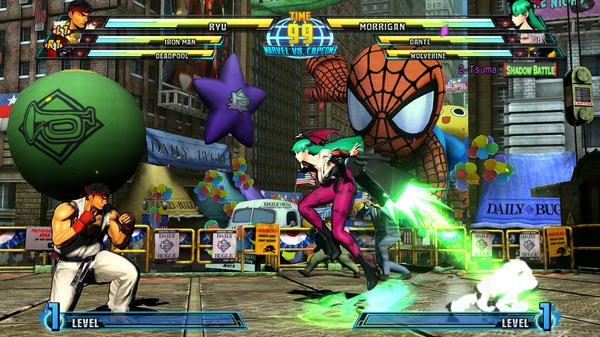 We’ll have more on Marvel vs. Capcom 3 as the release date steadily approaches.